If there was one area in Ocarina of Time that 10-year-old me did not want Termina to have a parallel of, it was the Bottom of the Well. There are a whole load of unpleasant things waiting for you down there, whether it’s not knowing if you might fall through the floor, if a ReDead is around the corner, or if you can actually escape the suffocating grasp of the Dead Hand. Majora’s Mask’s version, Beneath the Well, isn’t much better in terms of the creepy enemies you must face, but I remember it having an entirely different vibe to Ocarina of Time’s version. I think the reason for this is that they both serve a very different purpose thematically, and they’re each a testament to how effectively these games achieve their intended tone. 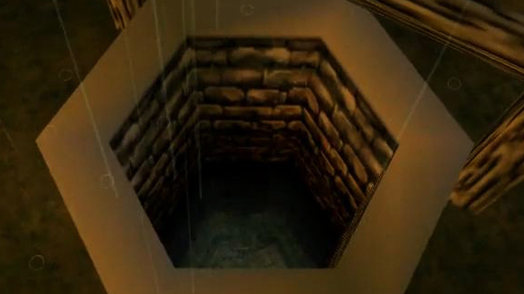 The Bottom of the Well in Ocarina of Time is a merciless crypt filled with unrelenting undead creatures and is designed to instill fear to test your courage and determination. Meanwhile, Beneath the Well in Majora’s Mask builds on the game’s overarching theme of facing death and makes you literally confront the living dead (or Gibdos, to be precise) that have yet to pass onto the next life. The key difference between the two wells is how you must face these enemies that block your path, which is something I find really interesting. Let’s take a closer look at this by comparing the design and tone of the two. The Bottom of the Well — located underneath Kakariko Village and possibly a sub-area of the Shadow Temple in terms of lore — is extremely unsettling, to say the least. With hanging chains and blood stains everywhere, not to mention prison cells and constructions that resemble torture devices, it makes you wonder what the hell this place used to be. Skulls are embedded into the walls in various rooms and one particular area is filled with coffins containing what appear to be mummified undead — the Gibdo. There are also pits spotted throughout the dungeon that drop you to the bottom floor, which is filled with acid puddles and countless ReDeads. Now that I think about these pits, I wonder if they were used by whoever occupied this place to dispose of bodies, which have since decomposed into toxic waste or become the ReDeads that linger on the lowest floor. And let’s not forget this dungeon’s miniboss: the Dead Hand. It’s undoubtedly one of the most horrific bosses in the Zelda series. Those vile, blood-stained hands that gravitate towards you and that slumped mass of flesh, with its terrifying head that slowly cranes down to attack you, make it the stuff of nightmares. All of this creates a truly disturbing experience, particularly if you played this for the first time as a kid like I did. With all that said, it’s easy to see how this dungeon aids the game’s central theme, which is all about literally finding your courage. This is especially prominent when you realize that Link has to face the disturbing atmosphere in the Bottom of the Well for the first time as his childhood self. His — or more specifically your — ability to overcome feelings of distress and find your way through this sinister crypt is clearly reflective of the importance of courage in completing your quest. This was especially true in my case. As a child, I vehemently avoided the Bottom of the Well for as long as I could, because I hated ReDeads. After watching my brother play the game, I knew they were down there and did everything in my power to avoid them. But once I finally did beat the well, I realized that I had overcome my fears, and I felt stronger — I had found my courage, just like Link. In fact, I later ended up completing it for my sister, because she was too afraid to do it too. Who’d have thought! Not me, that’s for sure. So, how does this compare to Majora’s Mask’s Beneath the Well? Beneath the Well makes you see the Gibdo as more than just undead monsters. […] They are more than just tests of your strength. They are tests of your empathy. In traditional Majora’s Mask fashion, this dungeon reuses some of the assets from Ocarina of Time, particularly its enemies. 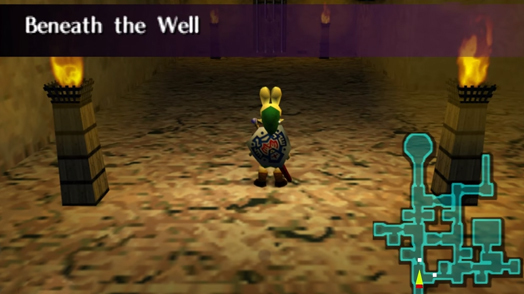 Beneath the Well requires you to descend to a crypt underneath Ikana Valley that’s filled with various enemies, such as Gibdo, Master Hands, and a Big Poe — all of which are all exactly like they appear in Ocarina of Time. However, there are more differences than similarities compared to the Bottom of the Well, which — whether or not intentional — serve a valuable purpose in supporting the game’s theme. A couple of initial things that separate the two are the environments and the bosses. 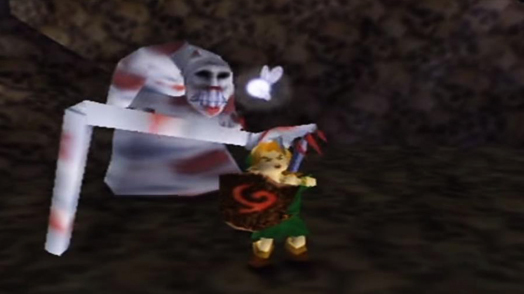 The design of this crypt is more simple than Ocarina of Time, and there is no deliberately unsettling boss, like Dead Hand. 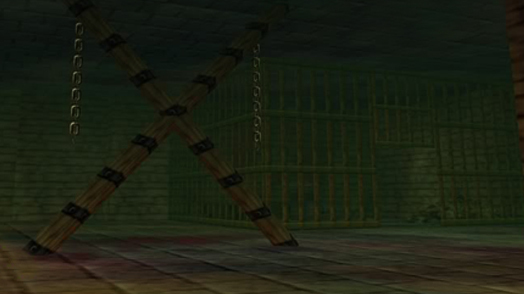 This is interesting to me, because they could have easily replicated a lot of the rooms from Ocarina of Time to recreate a disturbing crypt, especially those bloodstained walls filled with skulls, and they could have reused the Dead Hand as a miniboss. With it being an area that connects so closely to Majora’s Mask’s overarching theme of death, I think the designers saw an opportunity to create a different tone and challenge for this well, so they took it in a different direction. This is where the most noteworthy aspect of Beneath the Well comes in: The Gibdo are sentient. When you wear the Gibdo Mask, which you acquire by healing Pamela’s Father, it’s possible to communicate with them. This communication is limited though to hearing their dying wishes for various items that will put their souls at rest (it’s incredible that their souls are bound to Termina by longings for beans, bombs, and milk). Nevertheless, it is a unique feature in Majora’s Mask that perfectly encapsulates how openly it handles death as a central theme. More specifically, to me it represents the importance of facing death not just with courage, but also with acceptance, compassion, and respect. This theme overlaps a lot with Ocarina of Time’s motif, but it’s more discomforting yet poignant in Majora’s Mask. Honoring the wishes of the dead that linger Beneath the Well makes you see the Gibdo as more than just undead monsters. They are the souls of deceased people. They are more than just tests of your strength. They are tests of your empathy. We as humans generally find it unsettling thinking about what awaits us in death, but when we must journey Beneath the Well in Majora’s Mask, we’re offered an opportunity to lay down that fear and approach it face-to-face — literally. So, in light of all that, this is why I prefer the well in Majora’s Mask. 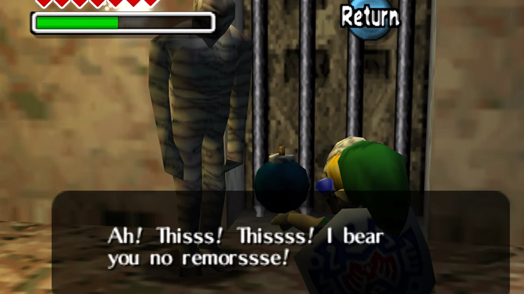 I’ll always appreciate Ocarina of Time’s test of courage in the Bottom of the Well, but Majora’s Mask goes one step further and uses this unnerving setting to create something that truly tests your soul.